In the present study, we prepared AgCrO2 delafossite at high annealing temperature 800 °C by flash auto-combustion technique which is an easy and a low-cost method. 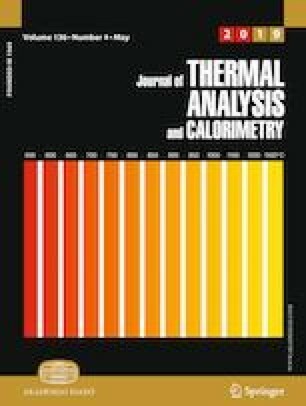 The objective of this study was to tailor the structural, magnetic and antimicrobial study of AgCrO2 delafossite at this high annealing temperature (800 °C) which can be used in the fascinating applications. The sample was examined using X-ray diffraction pattern to confirm its single-phase hexagonal structure. Moreover, the morphology was analyzed by the field-emission scanning electron microscopy to clarify that AgCrO2 delafossite was in the nanoscale range. The energy-dispersive X-ray analysis was performed to show the composition of the sample. The room-temperature magnetic hysteresis loop assured that the sample had superparamagnetic behavior. The investigated sample AgCrO2 delafossite can be considered to have a strong antibacterial activity against Gram-positive and Gram-negative bacteria. However, by studying the effect of AgCrO2 delafossite against fungi microorganism, no activity was detected using AgCrO2 delafossite. The promising application of this study is to add AgCrO2 delafossite to various drugs as an antibacterial agent.